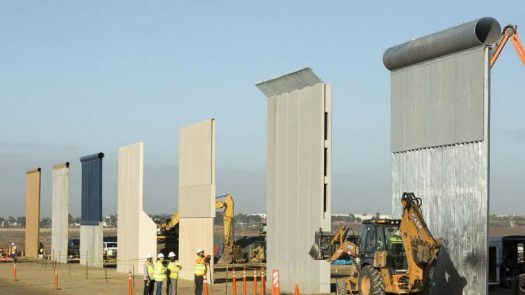 Much like most Americans, when I heard that the wall was starting to be built-in New Mexico I was excited. The nation’s security will be increased, and the people actually deserving of entering this country will be permitted. The border that was serving for New Mexico, was tattered, and is pretty laughable. Now just because I support the border wall doesn’t mean that I do not support immigrants. I myself am a third generation American, and the people who deserve to be here legally must stay here. There is no issue about the country or religion, but the quality of people who are coming into our great land. Finally, the promises of a presidential candidate has come true within the first year of a presidency. Americans will be safer, and this will serve as a message to the entire world. When Europeans look at America’s borders, they will see the proper way of national security. There is no question that Western Europe has a problem with unwanted, and unchecked people flooding into their countries. There is a reason that Eastern Europe is safe and secure, the strong national identity, and the secure borders that surround the great Slavic countries are a message to the rest of the western world. Protect the values and borders of your country, and you will in turn have one of the safest countries on the planet. America has finally wised up to the world, when the American borders are strong, so is our national identity.